When you are playing PS4 games, it would be a huge disappointment if your PS4 mic is not working, because you can’t normally chat with your partners. But don’t be worried! This article can help you fix PS4 mic not working issue easily and quickly. Try these methods below until it solves your problem. If others can’t hear you in the party chat, but you can hear them clearly, please check these possibilities below to troubleshoot your problem. First of all, you need to check your headset’s cables and ports to see if they are working properly. Make sure that you correctly plug the cables into the appropriate ports. Make sure there are no dust or obstacles inside the ports that may prevent your device from working properly. 1) Check whether your mic boom is not loose. Unplug your headset from your PS4 controller, then disconnect the mic boom by pulling it straight out of the headset and plug the mic boom back in. Then re-plug your headset into your PS4 controller again. 2) Try your PS4 headset with mic in another device to see if it works normally. For example, plug your headset into your mobile phone, and make a phone call with your mic and see if it works well. If your headset and microphone are working normally, skip to method 2. 1) Connect your PS4 headset with mic into the PS4 controller. 2) Unplug your microphone halfway out from your controller, and plug it back. Repeat this more than twice until you hear a sound like buzz. 3) Try your PS4 mic again to see if it works. 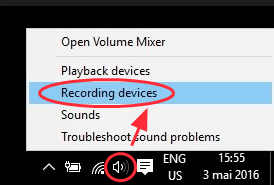 If your microphone is not working when using on PC, you should update the audio driver to make sure there’s no problem communicating between PC and mic. There’re two options to update your audio driver: manually and automatically. Manually update audio driver – You should go to the website of your mic manufacturer, find the correct and latest sound driver for your device, and install it in your computer. This requires time and computer skills. 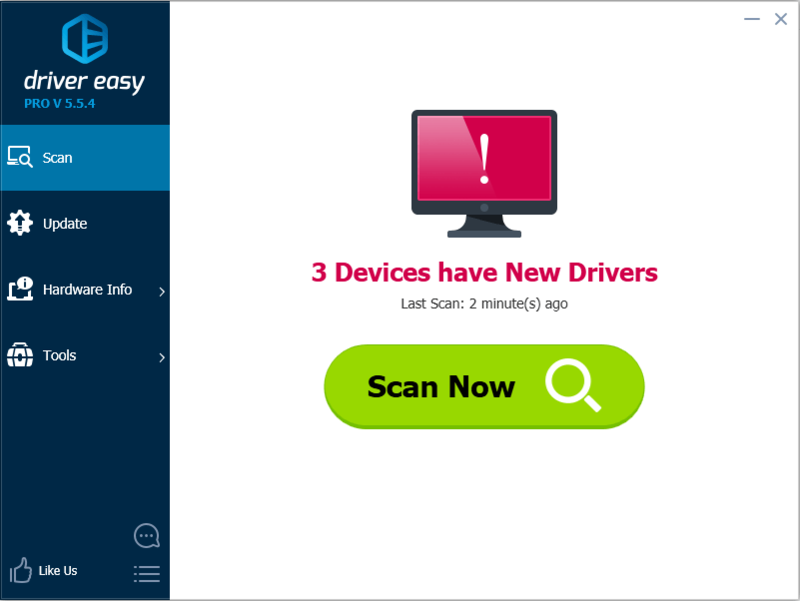 Automatically update audio driver – If you don’t have time or computer skills to manually update drivers, you can do that automatically with Driver Easy. 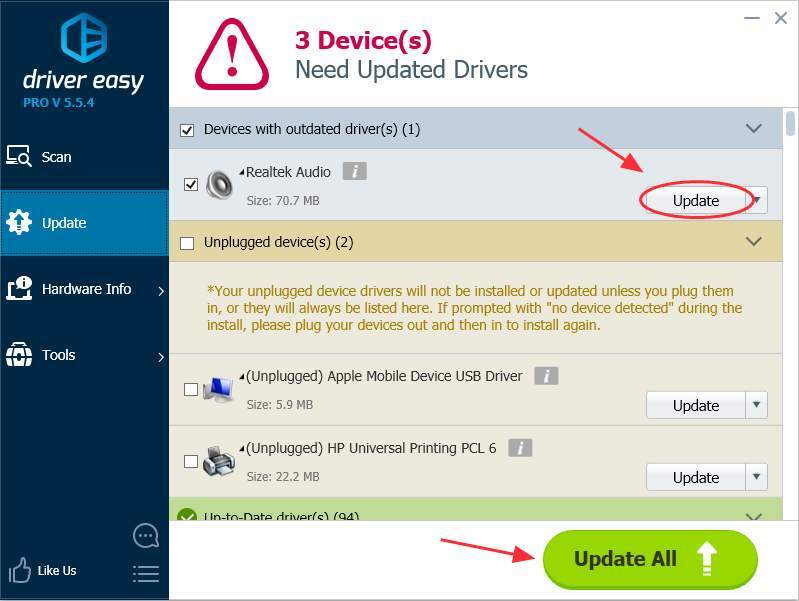 3) Click the Update button next to the driver name to download and install the correct driver (you can do that with the FREE version). Or click Update All to automatically download and install the correct version of all the problem drivers (you can do that with Pro version, and you will be prompted to upgrade when you click Update All). 4) After updating the driver, restart your computer, then try your PS4 mic and see if your problem is solved. If you are sure that there is no problem with your mic boom and headset, it seems like an issue with your PS4 settings. Check the following steps to make sure that the PS4 settings are configured correctly. 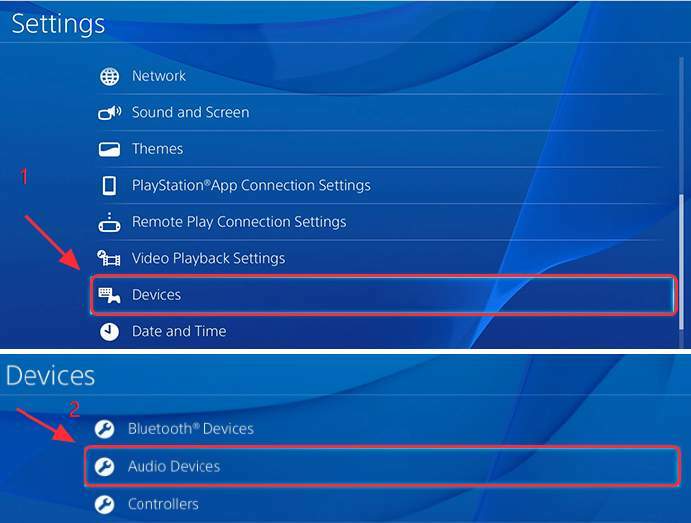 1) Go to the PS4 Settings > Devices > Audio Devices. 2) Click Input Device and select Headset Connected to Controller. 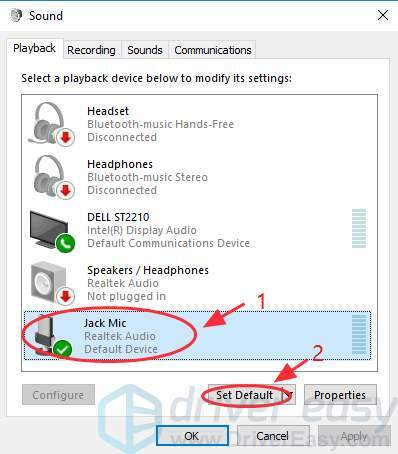 3) Click Output Device and select Headset Connected to Controller. 4) Click Volume Control (Headphones), and set the level to maximum. 5) Click Output to Headphones, and select All Audio. 6) Click Adjust Microphone Level, then follow the wizard to calibrate your microphone. If your mic can be detected on the Adjust Microphone Level screen, then the headset and mic are working with the PS4 properly. 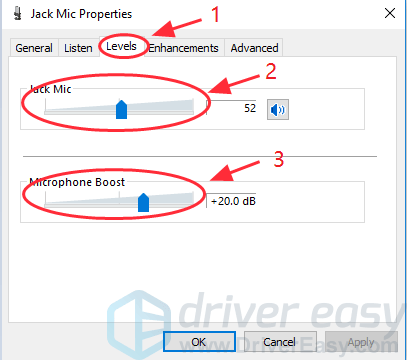 If your mic was not detected on the Adjust Microphone Level screen, continue to Method 4. Note: The screenshots below are shown in Windows 10, but the fixes apply to Windows 7 & 8 as well. 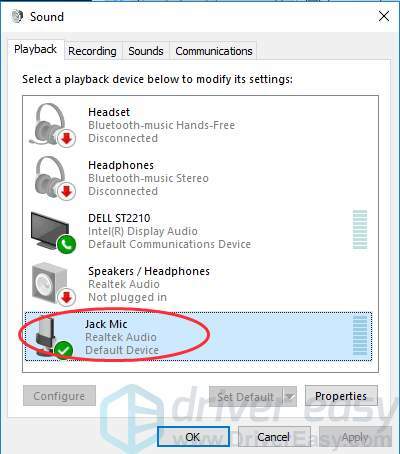 1) Plug your microphone into the microphone jack on your PC. 2) On your desktop, right-click the Speaker Icon at the bottom right corner, then Click Recording devices. 3) On the Sound pane, click the Recording tab, and check if your microphone is set as default (there will be a green check mark next to it and the Set Default button is grayed out). 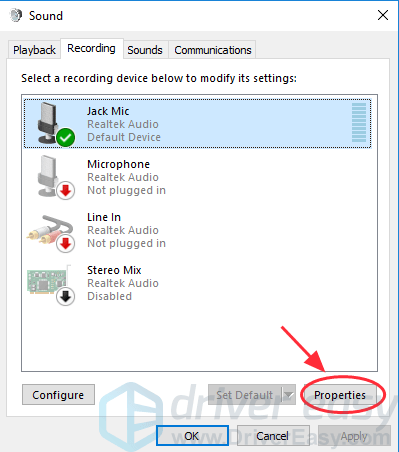 If your mic is not the default device, click the Set Default button to set it as default. Note: The device name might not be Microphone and the icon might not be in shape of a Microphone in your computer. 4) Click OK to save your settings. 1) Still on the Sound pane, click the Recording tab. Click your default microphone then click the Properties button. 2) Click the Levels tab. Then slid the slider of Microphone and Microphone Boost to medium or higher to unmute your microphone. 4) Click OK to save your settings. Then try your PS4 mic to see if it works. You can try using your microphone on other devices, like another PlayStation 4, or your PC, and see if it works or not. If it turns out that your microphone stops working, you’ll need to replace it with a new PS4 microphone. You can buy a new microphone to play PS4 games on the Internet. Be sure to choose a microphone with high quality and reasonable price. That’s all about it. What is your solution for this problem? Share with us! And if your problem still persists, feel free to comment below and we will see what more we can do.